When Wawa Inc. was searching for visually appealing, simple-to-install vertical refrigerated display lighting, it discovered an all-inclusive answer in Immersion RV30 LED technology from GE Lighting. In addition, GE helped the operator of more than 600 convenience store/gas station locations drive down energy consumption. As a result, Wawa now enjoys combined energy and maintenance savings exceeding $1 million a year. 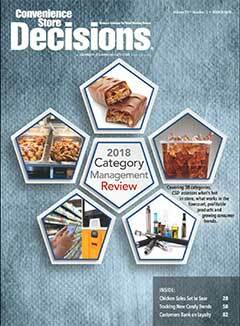 Wawa tested and evaluated three competitive LED solutions in refrigerated coolers in several of its stores beginning in 2008. Offering significant energy savings, high-quality uniform light, a long reliable service life and faster installation, GE’s Immersion RV30 LED emerged as the clear winner following Wawa’s thorough assessment. Annual cost savings equated to $1.2 million across Wawa’s entire 600-store chain. Ultimately, the company will experience project payback after only 26-28 months.